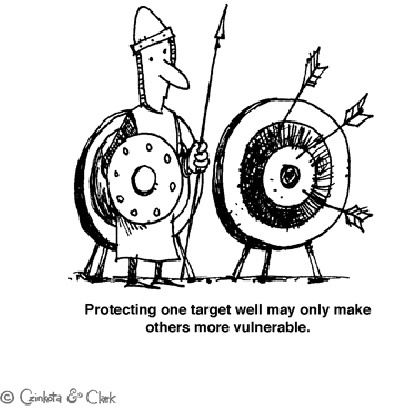 This entry was posted in Humor & Satire, International Business and tagged business, cartoon, iconoclast, international business, target, vulnerable by Michael Czinkota. Bookmark the permalink. 10/17/2016 I’m pleased with the way that michaelczinkota.com handles this kind of topic. Usually on point, sometimes contentious, consistently well-written and also thought-provoking. mMFsiF Really appreciate you sharing this article post. Fantastic. Like the site– extremely easy to navigate and lots to see! 10/9/2016 @ 11:44:36 In my opinion, michaelczinkota.com does a great job of handling issues of this type! Even if often deliberately contentious, the material posted is more often than not well-written and challenging. Excellent read. I just passed this on 10/5/2016 to a colleague who has been doing some work of their own on this topic. To say thank you, he just bought me a drink! So, I guess I should say: Cheers for the meal! 10/4/2016 @ 14:12:29 says good work michaelczinkota.com!